A polite, friendly and customer focused Landscaper is required to work as part of a team carrying out the installation of quality garden buildings. Working on behalf of customers that expect the very best in outdoor living, you will be using both hard and soft landscape construction techniques. Previous experience in landscaping is required. Applicants should be prepared to work as part of team of 2-3 people, but where required and on a project by project basis, should be self-disciplined and able to work on their own. Our client expects the successful applicant to uphold the company’s brand values and demonstrate a positive attitude towards delivering customer satisfaction. You must also act as a key point of contact on site, liaising with colleagues based in Head Office to ensure service excellence at all times. 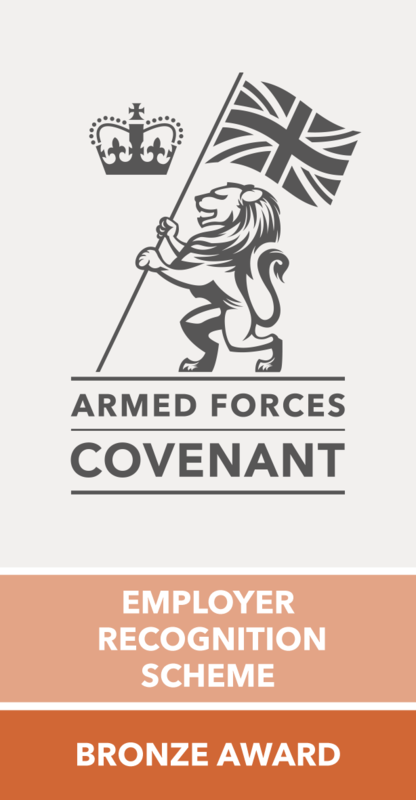 Applications from ex-military personnel (Royal Air Force, Royal Navy, British Army and Royal Marines) will be particularly relevant for this role and are strongly encouraged. To significantly contribute individually and as part of the company to help achieve the above job purpose. Liaise with Landscape Architect and Project Administrator to ensure new projects are planned in full, to achieve maximum productivity and exceptional customer service. Ability to work on site to drawings and instructions received from both the Landscape Architect and Project Administrator. Direct and Support assigned labourer(s) on site to ensure they are working efficiently and effectively at all times, sharing your own knowledge along the way. Display sound practical and organisational skills to ensure all projects are completed on time, in budget and to the highest possible standard. Consistently maintain professionalism and respect on site, liaising with the client where necessary to ensure full customer satisfaction at all times. Display job interest, self-motivation, attention to detail, accuracy and a positive mind set at all times for the benefit of both the customer and your fellow work colleagues. Show flexibility with regard to working hours, particularly when under pressure to meet site deadlines. Be able to resolve problems quickly and effectively as and when they arise. Build strong relationships with work colleagues, particularly fellow site workers and the Project Administrator. Ensure Health and Safety is at the forefront of everything you do, complying with UK legal requirements by acting responsibly at all times. Show respect for company supplied vehicles, ensuring they are well maintained at all times to portray a professional public image. Previous landscaping experience, covering both hard and soft landscape construction. Effective planning and organisational skills combined with a keen eye for detail. Ability to build strong relationships with colleagues, particularly site colleagues and key office staff. Be self-motivated, positive and passionate about your work at all times, working with colleagues to promote a positive working environment. Flexible with regards working hours, particularly during peak periods. Interest in continuous personal development. Full driving license and own transport to and from work. Experience of installing outdoor kitchens and outdoor living spaces. Permanent role – 40 hours per week (usually Monday through Friday), overtime possible in peak-season, overnight jobs are possible but rare.